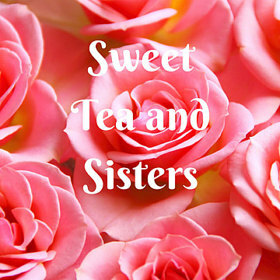 Sweet Tea and Sisters: What Calendar? It feels so strange. I am used to checking the calendar and thinking the date can't be right because summer is going too fast. The kids just got out for summer break and I have three weeks a couple of weeks who am I kidding I am the mom who would rush around the last week couple of days getting picked over school supplies and clothes. It would sneak up on me, but I also learned the earlier we got clothes and supplies the better chance they would be used and/or misplaced by the first day of school. I would always be getting things together until late the night before the first day. It was ok, I was always bummed about the end of summer no routine and nervous for them so I wouldn't sleep much anyway. I am looking at the date and it doesn't matter. 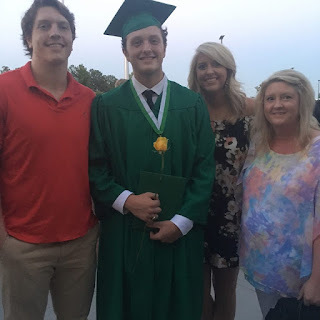 My youngest graduated from high school in May and I no longer have kids in "reguar" school. I have three in college. They are 18, 21, and 23. When you are having babies you are thinking about having them close together while you are in the bottles, potty training, and child proofing everything stage. You don't think about all of them learning to drive close to the same time, dealing with boyfriends/girlfriends at the same time, or having all three in paying for three in college at the same time. It feels strange, but so great at the same time. They are all living at home still. I would like to think it is because I am this amazing mom they can't bear to leave, but they are so close to my sister and brother and their families as well as my parents that they just didn't want to go away to school. My daughter is the oldest and never liked being away from home. My older son was a three year starter for our high school football team (they won state all three of those years!) and he had great opportunities to play football but he was burnt out. It also has a lot to do with the fact that my dad (who is not only an amazing grandfather, but he has also had to step in and be their dad because theirs is not around) battled Hodgkins Lymphoma twice. 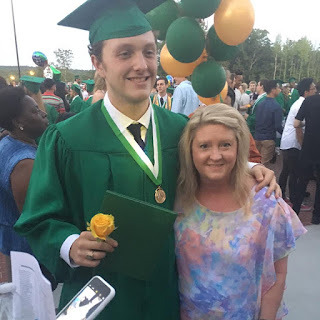 The first time was when my daughter was about to start college and he was in treatment, relapsed, and thankfully got into remission after a stem cell transplant, all during those years my son was playing football. He said he missed out on so much being here he didn't want to be away and never see family. My youngest is the one I thought might want to go somewhere, but with the other two here, he didn't want to leave. He went on vacation with a friend for a week during the summer the last two years and while he had a blast, he got homesick. He would never admit it, though. I am proud of my kids for many things but their faith and relationship with God is what I am proud of most. Secondly, their love and appreciation of family. They only have my side so they don't take for granted family and how blessed we are. In a way, this summer vacation won't end....for a while. Until they get married or decide it's time to move out. My daughter is in summer classes so she is still in a bit of a school routine, but nothing like "regular" school. We are trying to figure out boundaries. They are legally adults, but I am still their parent. I will be honest, my most stupid mistakes were between the ages of 18-21 so they aren't out of the woods yet. All three do their own laundry and they all work out and have their own diets so they also feed themselves. Except for the kitchen being a wreck most of the time, I would call this successful parenting! I am loving it. I don't have to miss them. They are in and out all day, but when I turn on the alarm system at night, they are all in. I finally get to take time for myself. This is different, but I like it. I do miss football, though. Congrats on your son graduating high school! How great to have all your kids around as well. Beautiful photos. Thank you so much! I hope they all don't decide to move out at the same time. My sister has five, if they do leave at once maybe she will let me borrow one or two of her kids! Congratulations to your son for graduating. The pics are all Fab!. I am so happy that i visited your site. Thank you so much for sharing this!. Looking forward for more excellent posts. Well! I am a professional essay writer, If you need any guidelines on writing essay you can just visit our website . This will definitely help your child to write a perfect essays and score good marks in academics.